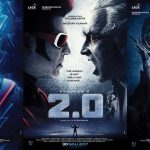 India’s costliest film under production — Shankar’s Rajinikanth-Akshay Kumar starrer 2.0 — will have its first look unveiled in Mumbai on 20 November. The producer of the reportedly Rs 350 crore sci-fi action thriller (the London-based Subaskaran Allirajah, the chief of Lyca Productions) is planning on making it a major event in Indian cinema. The buzz is that the grand launch will be held in a stadium or a studio, with all the razzmatazz and presence of major Indian and international stars. 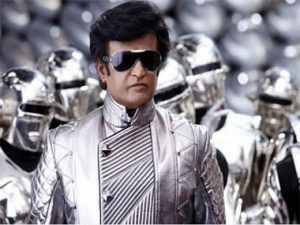 2.0 is said to be a continuation (not a sequel) of Enthiran (Robot). 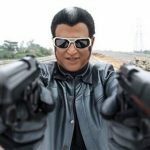 Rajinikanth is reprising the roles of Dr Vaseegaran and Chitti, alongside Akshay Kumar playing the deadly villain — evil scientist Dr Richard — with Amy Jackson the lone female lead. The others in the cast are Sudhanshu Pandey, Adil Hussain and south Indian actors Riaz Khan and Kalabhavan Shajohn. 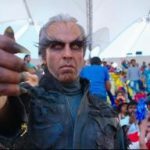 Technically, 2.0 will have state of art VFX and special effects, never seen before in Indian cinema. Srinivas Mohan, the VFX supervisor of Baahubali, along with a foreign team, is in charge. Noted cameraman Nirav Shah is the cinematographer and music is by AR Rahman. As per sources, the album will have five songs, but in the film there will only be one song. The track, a duet called ‘Roja Kadhal…’ has been picturised in Ukraine’s famous ‘Tunnel Of Love’ on the lead pair Rajinikanth and Amy Jackson. Rajinikanth, who had gone to the US for medical tests, has now joined the final schedule of the film, after a break of four months. Shankar, in a recent tweet, has said that 2.0 is two thirds complete, in a 150-day shoot schedule. The director, who is very secretive, has seen to it that not even one picture from any of the film’s locations has leaked on social media. The entire shoot of the film will be completed by the end of November, and Shankar is planning to spend the next nine months on post-production. 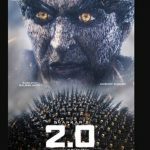 2.0 is scheduled to be a Diwali 2017 release, and in three Indian languages: Hindi, Tamil and Telugu. The producers of the film are also planning to have a shorter international cut including a Chinese version, which they are trying to release simultaneously with the Indian release. As per sources, the 20 November first look in Mumbai will feature a motion poster and probably a teaser of the film, without giving away anything. The first look launch may be live streamed.